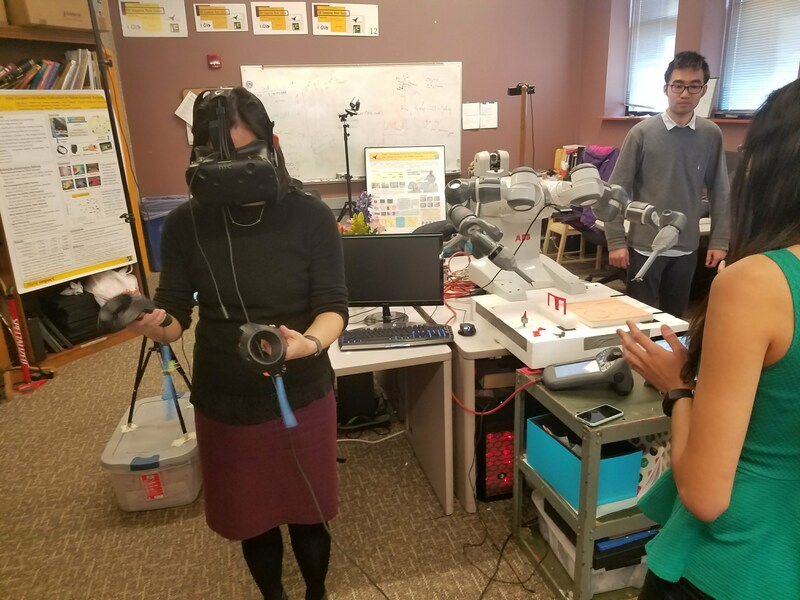 Dr. Allison Okamura visited Purdue University as a guest presenter for the Purdue Robotics Accelerator initiative. Her seminar was on March 23rd, 2018. Prof. Okamura’s research focuses on developing the principles and tools needed to realize advanced robotic and human-machine systems capable of haptic (touch) interaction, particularly for biomedical applications. Haptic systems are designed and studied using both analytical and experimental approaches. As a part of her visit, Prof. Okamura visited the ISAT lab where graduate students presented some of the research projects currently active. 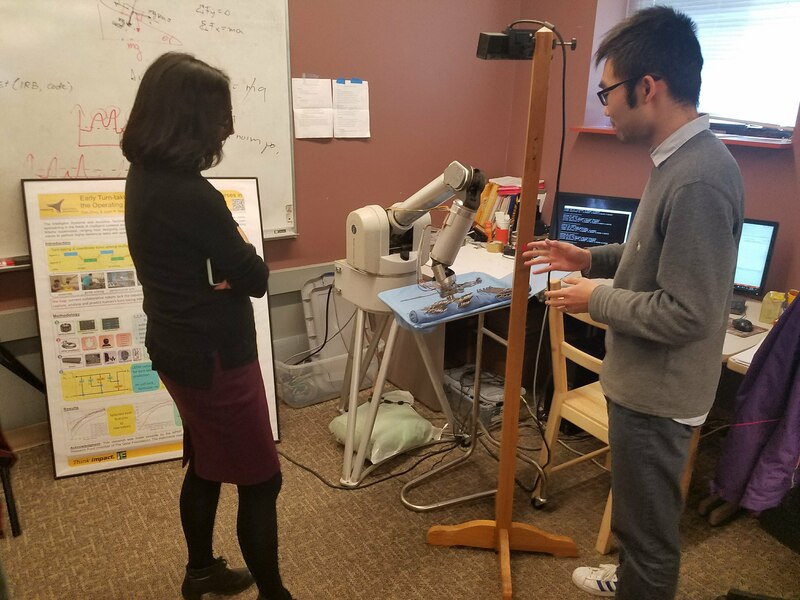 Tian Zhou, a PhD Candidate, showed his work involving the WAM Robot picking and delivering surgical instruments and his research regarding turn-taking in human-robot collaboration. Natalia Sanchez and Glebys Gonzalez presented the collaborative robot YuMi (ABB) which has been adapted through rapid prototyping, with extended grippers for research in robotic assisted surgery. Additionally, Prof. Okamura tested the HTC Vive virtual reality headset and controllers. To finalize the visit, Prof. Okamura participated as an impromptu trainee to showcase the functionality of the STAR telementoring system, wearing the HoloLens (Microsoft), through which annotations are overlayed using augmented reality in the user’s field of view.